Range of application: making gravel and sand, mining of ores and coal, concrete batching plant, dry-mixed mortar, power plant desulfurization, making silica sand, etc. Materials: river stone, granite, basalt, iron ore, lime stone, quartz stone and diabase and so on. Introduction of The Machines: K Series Mobile crushing machines are widely used in the fields such as ore and coal mining sites, recycling of the construction wastes, earth and rock project, construction of the urban infrastructure, construction of road and buildings, etc. 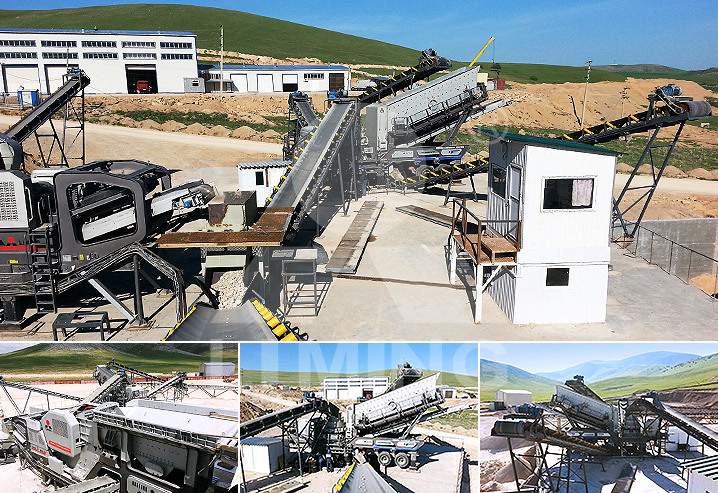 The machines are mainly used for processing topsoil and other kinds of materials, separating aggregate in the sticky concrete, preparing materials for construction and detonation field, sieving after crushing, quarrying, making artificial sand from river stones, mountain stones (limestone, granite, basalt and andesite and so on), gangue of ores and stone wastes. Besides, they can also be used for processing concretes in road reconstruction and the processing of bituminous concretes before recycling of them. With its high maneuverability, the mobile crushing machines are easy and convenient to use, which can save much money in foundation building and transporting. Furthermore, the mobile crushers can process the materials on sites and move with the advancement of the mining area of the raw materials. Meanwhile, this can decrease the transporting cost of the material during the processing. K Series mobile crushers has self-contained species and models, including standard types, closed types and the multiple combination types made for the high-end customers according to their special requirements, which provides different customers with a relatively wide range of our machines to choose and can meet their requirements at the greatest level. The standard types of K Series mobile crushers include the following models: mobile impact crushers, mobile cone crushers, mobile jaw crushers, mobile cone crushers with vibrating feeder, mobile vertical shaft impact crushers. The closed types of our mobile crushers include the following models: closed type mobile cone crushers, closed type mobile impact crushers and closed type vertical shaft impact crushers. 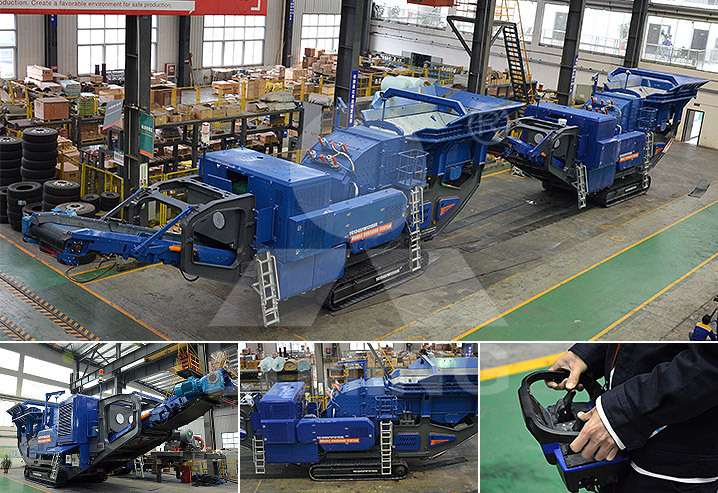 The combination types of single machines include the following models: combination mobile crushers of impact crusher and vibrating screen, combination mobile crushers of cone crusher and vibrating screen, combination mobile crushers of jaw crusher and vibrating screen. We also have our secondary combination mobile crushers, and we can make a suitable design of it together with the primary crusher, secondary crusher and three-level crusher and optimize the design and combination according to the customers’ different requirements. 1. the whole integrated unit has reasonable and compact space distribution, which optimizes the space on sites at the maximum level and avoid the complex building work of the foundation and the installation of the single machines. Meanwhile, it can also decrease the cost of material and working time, and expand the space for storing and transporting of the materials. 2. with on-board traction, the mobile crushers can work on sites at real-time, and this avoids the link of transporting the materials outside the sites for further processing. By doing this, it saves much money for the materials’ transportation. What’s more, the trailer has a relatively high underpan and a small radius of turning circle, so it can run unhindered on both normal road and rugged mountain road and reach the sites rapidly. 3. Special combined configuration makes it possible for both working alone and together in a combination plant, and thus can meet the customers’ requirements for mobile crushing and screening and reduce their costs at the top possible level. 4. the whole crushing unit is equipped with our own high-quality, multi-functional and high-efficient crushing machines. It has light and handy and reasonable designed structure, outstanding crushing performance. All these characters make it possible to satisfy the coarse, medium and fine crushing demands.